Books, books and more books! October wasn't a great month for adding books to my 'read' list, but I at least got a couple done! I'm pretty sure October was the busiest month I've had over the past year, so the fact that I was able to successfully start & finish any books makes me very proud! This was one of those books that I probably never would have read if I hadn't met my husband and moved to a small town - even though it is a memoir set in Minnesota, I don't think it would have caught my eye. During one of our trips to the mall, though, Jake saw it and thought his dad would enjoy it. After dad read it, Jake brought it home and I picked it up one afternoon. It was a fairly quick read and I definitely enjoyed it! 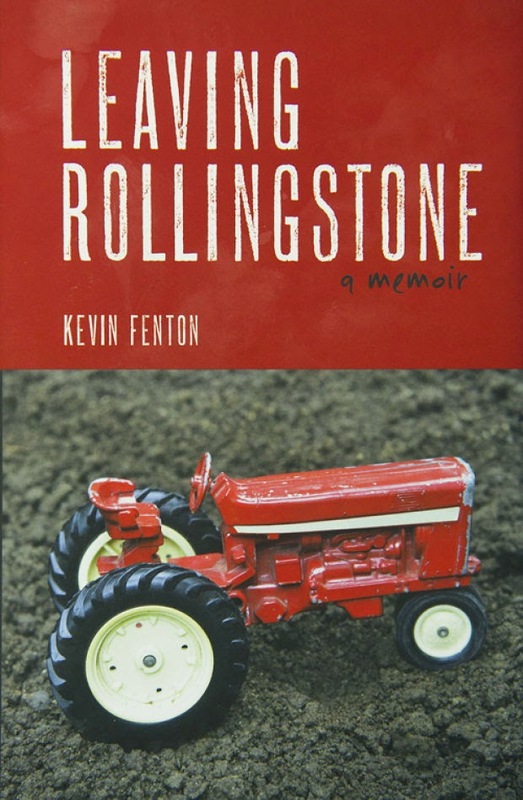 Leaving Rollingstone is Kevin Fenton's memoir of his childhood on a Minnesota farm and the changes that happened to him and his family after they had to leave. Now, being married into a farming family, I have a greater appreciation for just how important "the home place" can be to a person's identity. I truly believe it's a deeper feeling than one might have for the house they grow up in. I didn't grow up on a farm so I can't even begin to explain why I have this opinion, but I truly do. Leaving Rollingstone did nothing but re-iterate these feelings for me. Leaving Rollingstone isn't a typical book I read, and I'm not sure that it is for everyone. It got a bit dry in places and I'm not sure I would have enjoyed it as much if it weren't for my new farming family. However, if you enjoy reading memoirs, learning about Minnesota, farming and/or growing up during the 70s and 80s, I definitely think this would be right up your alley! The Oleander Sisters was a book chosen for me to read by my book club - and I'm glad it was! We had already read The Sweetest Hallelujah by the same author and almost everyone loved it - we didn't realize when the book was first chosen that we had previously read a book by this author, but no one complained! 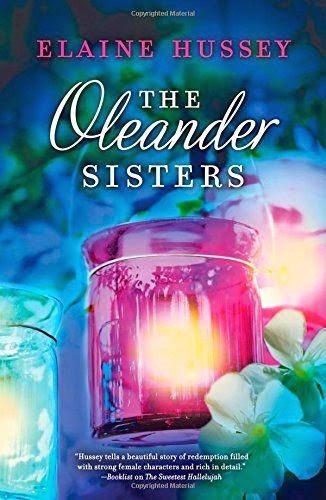 The Oleander Sisters is the story of two sisters, their family, community and how life changes when a new husband is introduced to the mix. The book kept me interested and kept me flipping the page - which is definitely a good thing! With being so close to the baby's arrival I have been finding it more and more difficult to concentrate on reading; this book keep me tuned in throughout the whole thing. I enjoyed her writing, but at times it did seem to get a bit long-winded. Overall, I'd rate this book a 4/5! What have you been reading? Any suggestions for me to try?? 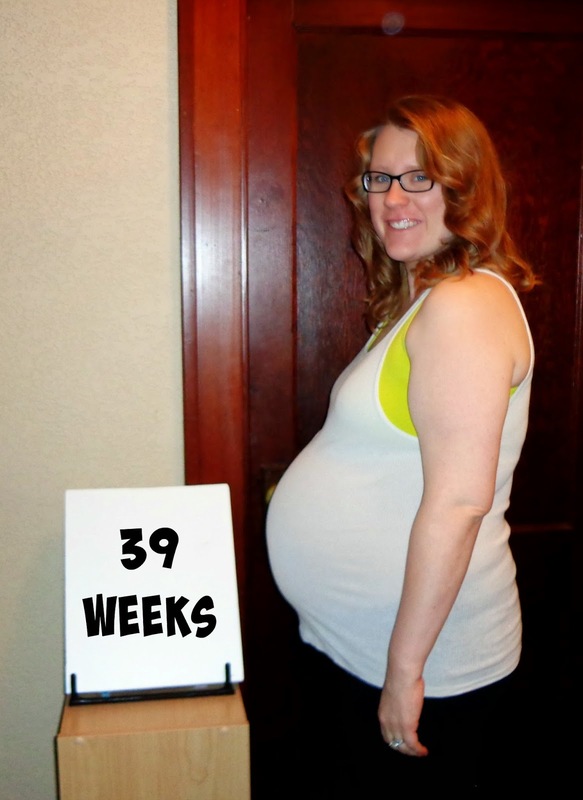 Well I made it - here we are at 39 weeks with no baby so far! (I'm keeping my fingers crossed that he or she decides to make an appearance soon - but something tells me I'll be having a December baby.) Hey, a girl can dream, right? Patience has never been my strong suit and to know that we are this close to meeting Baby K has me excited, nervous, anxious and everything in between! This past week has been one of waiting - I haven't wanted to make too many plans in case we'd have to cancel them to get to the hospital, and to be quite honest I've been pretty tired and sore so hanging out at home when I'm not at work has been more attractive to me anyway. In the beginning of the week I had my next ob appointment. Nothing too exciting to report there - no more progress, so he sent me on my way until this week unless I went into labor first. Since the appointment is later today, I'm guessing I will make it there :) It is crazy to think that if I stay pregnant until next week's appointment I'll officially be over-due! I know it doesn't mean much in terms of how long my pregnancy will go, but I came into the world 2 days past my due date and Jake came in a whopping TEN days late! As long as baby and I are healthy I'm not interested in getting induced just because of my impatience, so we could definitely make it to ten days over - but I'm hoping he or she decides to meet us before then! When I wasn't at work this week I tried to do two things: rest and finish things up around the house. I'm happy to report that I feel pretty darn comfortable with where everything stands in the house now - it's just waiting to have a new resident!! I never got hit by the big 'nesting' bug that so many people talk about (though maybe that's still to come?!) but it is nice to have most of my projects done and the house cleaned! I feel like I say this every week, but I'm going to say it again. I wonder how many bump updates I have left?? For now, here I am as of 39 weeks! As I sit here and write this blog post to update for my 38th week of pregnancy, there is Christmas music playing in the background (too early? not for me!) and it just hit me - this will be the very first Christmas Jake and I will have a little one at home with us. Last year at this time if you had asked me whether we'd have a child for Christmas 2014 I would have answered with a big ole' NO! I might've seen us expecting a little one - but I definitely wouldn't have thought we'd have already had our first son or daughter. What a difference a year makes! I couldn't be more excited to meet him or her; we're getting so close to my due date! I have no idea what to expect but I can't wait to learn - time's getting short now! This past week was great! It was relaxing, not incredibly busy and I feel so much more comfortable with the state of affairs at our house that baby could come at any time and I think we're as prepared as we need to be! The week before was awesome, but with two concerts and everything else going on it was pretty darn exhausting, too. To have a week that didn't require nearly as much driving was great! The nursery is, for the most part, complete. The decorations we have for the walls haven't been put up yet, but besides that (which really isn't at all important in the short-run) it's ready for baby to move in. Whenever I walk by that room I just can't help but smile - I can't wait until there's a little one living in there. At my last appointment my doctor checked me and I was 2 cm dilated and 80% effaced; within the week I got to 3 cm and 90% effaced. Now I know that I could really walk around for another 4 weeks at this point, but it is nice to know that my body is starting to get ready for the baby to arrive! When will that be? Only time will tell! For now, I can tell you this: these baby bump pictures won't be happening for too many more weeks. Pretty soon I'll be taking baby pictures - and those sound MUCH cuter than baby bump pictures! 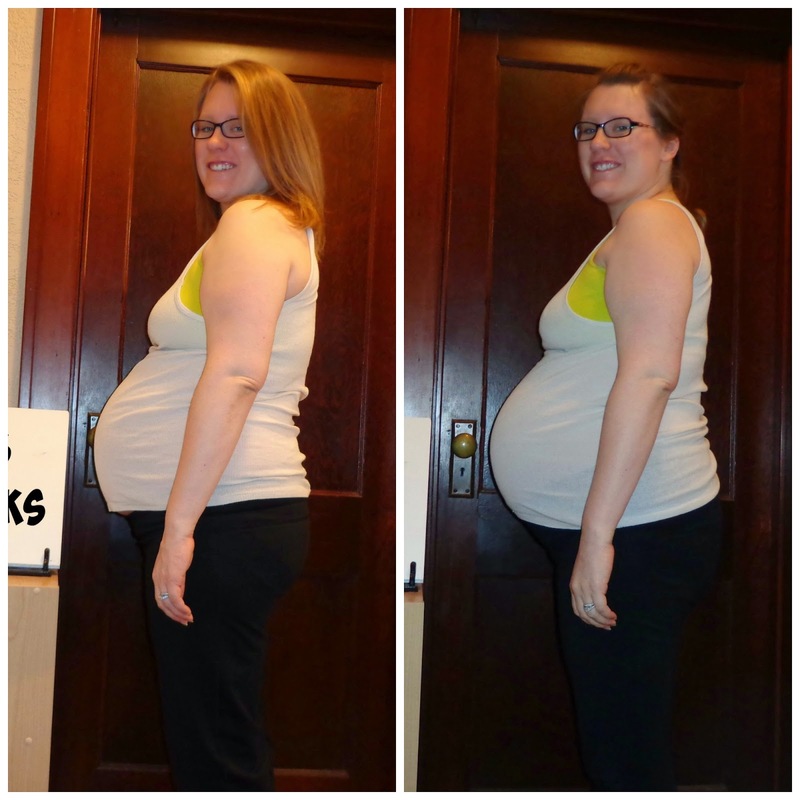 Until the baby comes, though, I'm stuck with the bump updates - here I am as of 38 weeks! I must admit - I am a bit surprised that my wedding ring still fits me at this point in the pregnancy; I assumed I'd be so swollen that they'd be sitting on my bedroom shelf instead of on my finger. I'm glad that didn't happen! 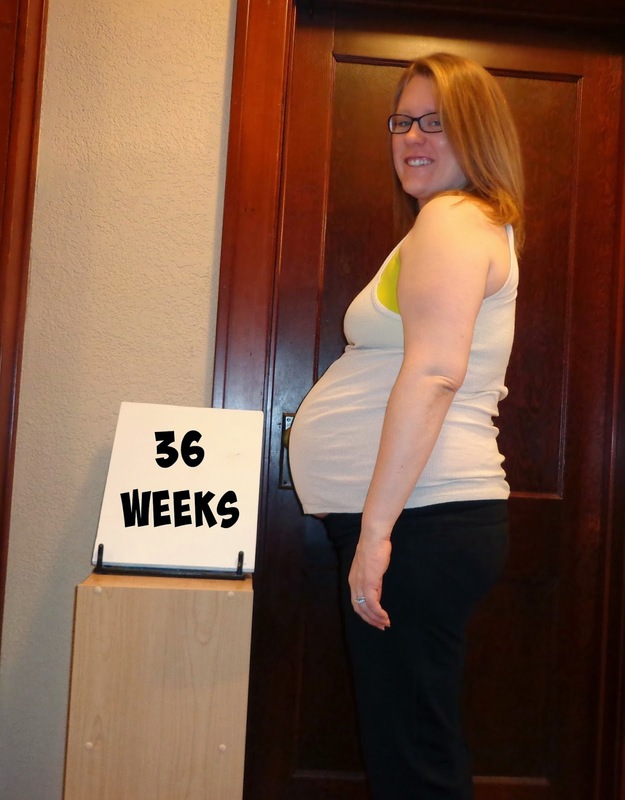 Week 37!!! Each week when I write these, I wonder how many more times I will have a bump update - pretty soon there will be a baby to post about (and I absolutely cannot wait for that day!) But for now I must be content with seeing the weeks go by as baby continues to grow! On Saturday night Jake and I hosted his mom, niece and nephew and sister for dinner. It was a semi-last-minute type of thing but it was a lot of fun! Jake grilled burgers (from a steer born & raised on his farm - proud wife right here!) and we had some other fixings to go along with it. Nothing earth-shattering or exciting, but tasty all the same. Sunday I met up with my parents in St Paul and we had a parent/Ashley date - dinner at a hotel followed by seeing James Taylor in concert. My dad has been a fan of James Taylor for longer than I can even remember but had never seen him in concert; when I saw he was coming I made my dad set the evening aside so I could bring him as an early Christmas present. The three of us stayed at the hotel that night so I didn't have to drive the hour home in the dark and I got up in the morning and went in to work. It was so much fun and a really relaxing evening out! The baby did get a bit of a workout, though. I could feel him or her jumping around the whole time! Monday afternoon was supposed to be my first weekly OB appointment, but my doctor had to deliver a baby so I re-scheduled for Tuesday. That was perfectly fine by me because I know if my baby is coming in the middle of his work day he'll be there for me, too! On Tuesday I told the doctor that Jake and I have a feeling we will have a December baby (with a due date of November 29th it's not too crazy to think I'll go two days over). After he checked me, though, he let us know that he wouldn't put his money on a December delivery. At 2cm dilated and 80% effaced my body is already getting prepped for this baby to come! Now of course nothing is for sure and I could stay like this and still end up going two weeks over, but he is guessing that probably won't happen. Time will tell!! Then Thursday happened. Thursday was November 6th (the one I mentioned earlier in the post). The Thursday I was waiting for and hoping baby would stay in for. On Thursday I got to see one of my all-time favorite artists in concert - Garth Brooks!!! For as long as I can remember my sister an I have talked about wanting to see Garth; a couple months ago he announced he'd be playing in Minneapolis (this quickly turned into ELEVEN shows!!!). We (along with my cousin & grandma) got tickets to the opening show and it was absolutely everything I thought it might be - high-energy and just all-around incredible. I spent most of the concert on my feet screaming and singing my lungs out. I'm so grateful I got to go! The rest of the week was a bit more low-key and I was perfectly okay with that. After all that excitement I think baby and I both needed a bit of a break. People have been asking if I've been feeling any contractions yet and I can honestly say that I have no idea. I haven't felt any timeable or consistent things that I would say are contractions, but it's entirely possible that some of the twinges and semi-painful moments I have are actually contractions and I just don't know what they feel like. Hopefully when the time comes I'll know it and won't have to second-guess myself! Who knows...maybe that time will be this week? I'm still placing my bets on a December baby, though it's much more tentative than it used to be. Time will tell! For now, here I am as of 37 weeks! When I took this picture and looked at it, I couldn't help but think that my belly looks different than it did last week. Of course it's a bit bigger but the whole shape and position is different! I've posted a comparison shot below. What do you think? Is this what they mean when they talk about 'dropping'? 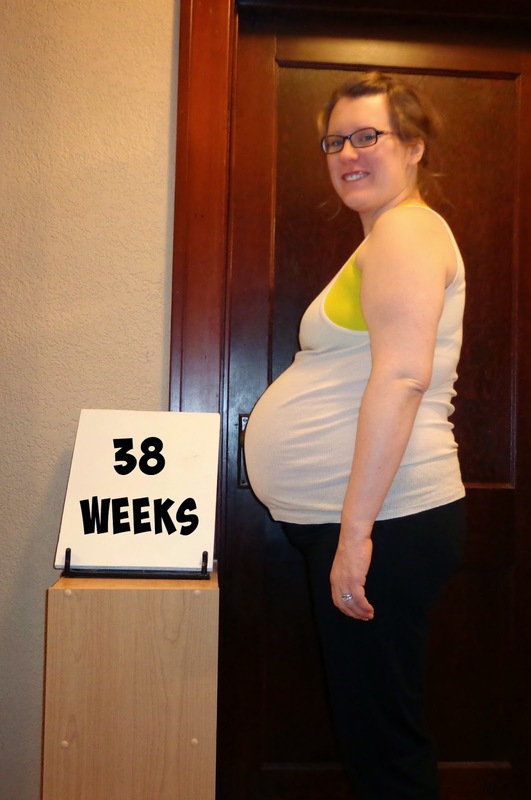 Last week I officially hit my 36th week of this pregnancy and I'm having a bit of difficulty believing it. To think that there are only 4 weeks left until my due date (though I am completely aware of the fact that my due date really, in the long run, doesn't mean a whole lot about when this baby will actually arrive). Still, it's fun to think about how close we're getting to meeting Baby K! I had a pretty good week - some good things, some not so great but all-in-all it ended up being a pretty darn decent week. Saturday I made a fairly large purchase - a Nikon D3300 DSLR camera. I feel like 95% of the pictures I take are on my iPhone (the only exception being my weekly bump pictures which are taken on the camera I borrowed from my mom a looooong time ago and haven't yet returned). Once little one arrives, though, I want to have high-quality pictures that he or she can have forever; not pictures that I snapped on my phone and emailed to myself. Now the only thing left to do is to figure out how to work it ;) I'm pretty sure this is what they mean when they say there is a steep learning curve - I am a total newbie! I borrowed a couple books from the library and I've been trying to experiment with it in my free time - wish me luck that I can figure it out! On Saturday I also went to a painting class with my sister, friend, mom and grandma - it was a blast! It was one of those events where they teach you to paint a specific paining, but ultimately you can design it any way you'd like and just run with it. We were painting a tree-type of thing with colorful swirls and dots surrounding it. Mine turned out a bit Seuss-esque, but it will go perfectly in the nursery! I headed home Sunday morning and started in on doing more laundry than I have ever done in my life. I hadn't washed any of Baby K's clothing/blankets/burp cloths/etc, so I tackled that project and got them done! I'd be lying if I said I felt great at the end of the day - I was absolutely exhausted and my feet were killing me after walking up and down the stairs so many times, but it felt SO great to have them washed, dried, folded and put away! I'm pretty sure I over-did it a bit, though - when I woke up on Monday I was once again greeted by my old friend morning sickness. I think I might have pushed myself a bit too much over the weekend and I definitely paid the price for it! I had to call in late for work so I could get back to feeling like myself, but once I did I felt great for the rest of the week! Fast forward to one of my favorite days at work every year - Halloween! It's not necessarily my favorite because of the holiday; it's my favorite because I can normally think of a costume that lets me get away with wearing jeans ;) I thought about not getting dressed up at all this year but I quickly changed my mind once I realized that I might never have a noticeable baby bump on Halloween again - I wanted to take advantage of it! So here I am - Ashley the snowlady! I got up early on Halloween, cut out some felt circles & a cloth nose, hot glued them to a shirt I normally wear to workout, tied a scarf around me and called it good - my belly was definitely on full display that day at work but I thought it was pretty cute! 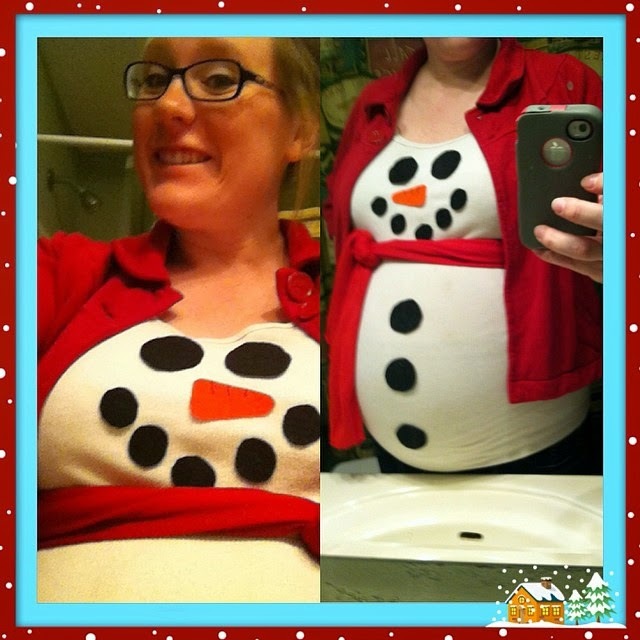 Here I am in my 'official' 36 week baby bump photo - definitely not as cute as Ashley the snowman! Normally I'd sign off for a week - this time I'm just signing off until tomorrow when I'll update with week 37!